Since 1965, 2Life Communities (formerly JCHE) has provided safe and affordable independent housing where older adults of all backgrounds can age in the community. Their programs and services enable residents to live a full life of connection and purpose in a dynamic and supportive environment. A certificate of occupancy has been issued for The Harry and Jeanette Weinberg House at 132 Chestnut Hill Avenue in Brighton. 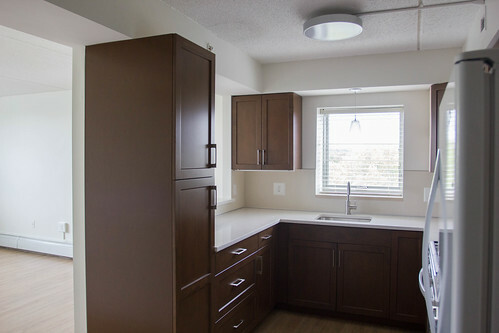 The senior housing development features 61 affordable apartments and 3,500 square feet of ground-floor retail. Seven residences will be reserved for formerly homeless seniors, and five residences will be reserved for seniors with lifelong disabilities. A second-floor pedestrian bridge connects 132 Chestnut Hill Avenue to 2Life Communities existing 700-unit campus and amenities. Exterior work is wrapping up and interior fit-out continues for the new senior housing development at 132 Chestnut Hill Avenue in Brighton. The project will include 61 affordable, senior residences, a mix of studios and one bedrooms, along with 3,500sf of ground floor retail space. As part of the development, a small public plaza will be constructed along Chestnut Hill Avenue. Framing and Exterior work continues at 132 Chestnut Hill Avenue in Brighton. This upcoming senior housing development will include 61 affordable apartments, 3,500 square feet of ground floor retail and 21 parking spaces. A pedestrian bridge is set to connect the building to the Jewish Community Housing campus next door to allow residents to access their senior-friendly amenities. Brighton-based JCHE has mortgaged their property at 677 Winchester Street in Newton for $25.83 million via Ohio-based lender, Red Capital Group. The property is home to Coleman House, a senior living facility that was built in 1997 is located in the Oak Hill neighborhood at 677 Winchester St, Newton, MA. The 102,640 square feet building is comprised of 146 one-bedroom apartments and sits on 3.5 acres of land. 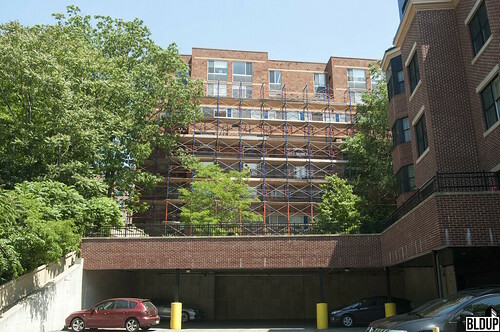 General contractor Dellbrook | JKS has completed demolition of pre-existing structures at 132 Chestnut Hill Avenue in Brighton, the future site of 61 affordable senior housing units with 3,500 square feet of ground-floor retail developed by Jewish Community Housing for the Elderly (JCHE). Dellbrook | JKS will soon commence site work including earthwork and ledge removal to prepare the site for foundation construction. The upcoming six-story building at 132 Chestnut Hill Avenue will be located adjacent to the proponent's existing 700-unit Brighton housing senior housing community, replacing a blighted, long-vacant house. An upcoming 61-unit affordable senior housing building located at 132 Chestnut Hill Avenue in Brighton will move forward with construction following the City of Boston's Zoning Board of Appeals (ZBA)'s approval of the project this week. Developed by Jewish Community Housing for the Elderly (JCHE) and located adjacent to the proponent's existing 700-unit Brighton housing senior housing community, 132 Chestnut Hill Avenue will include seven units reserved for formerly homeless seniors and five units reserved for seniors with lifelong disabilities. 3,500 square feet of neighborhood-friendly retail will be located on the building's ground floor. 132 Chestnut Hill Avenue will replace a blighted, vacant house which stands on a 0.3-acre parcel; JCHE acquired the property this week for $380,500 from the Boston Planning & Development Agency (BPDA), who acquired the property in 2004 for $625,000 with the intention of constructing affordable housing.